Tokyo is a city unique in almost every aspect with contrasting sides to every element. The skyline in Tokyo looks futuristic whereas the Buddhist temples and Shinto shrines will take you back in time. Working professionals immaculately dressed in western clothing is a common sight along with a strong subculture of youth sporting the extreme Harajuku fashion. Not to forget people passionately draped in kimonos walking by. The cuisine, culture, heritage, and architecture of ancient manmade landmarks are sure to give you an experience that you will never forget. The most memorable of all the experiences that you are going to have in Tokyo is the politeness of its people. 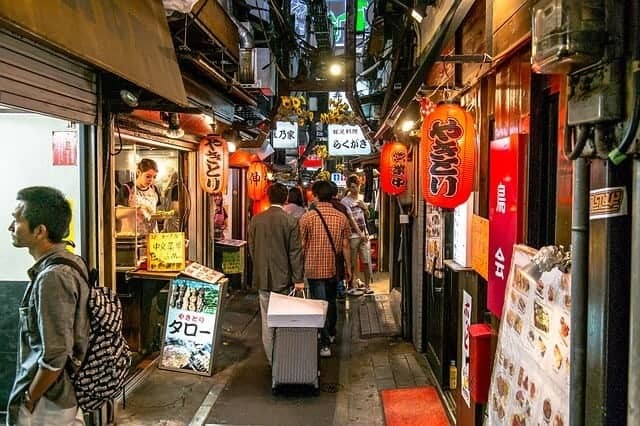 This Tokyo travel guide will assist travelers who are keen on exploring this sophisticated Asian city by suggesting things to do, places to visit, what to eat, and more. Tokyo has two international airports namely Narita International Airport and Haneda Airport (also called Tokyo International Airport). Both the airports receive flights from across the world. Both the airports are world class and there are plenty of public transportation options to travel from the airport to the city. It is located in the city of Narita in Chiba Prefecture, about 60 km (37 miles) from central Tokyo. How to reach Tokyo from Narita International Airport? Train: Keisei Skyliner Nippori Station. How to reach Tokyo from Haneda International Airport? This is the busiest airport in Japan and it is located closer to Tokyo at 14 km (8 miles). Haneda handles mostly domestic and a rising number of international flights. Though only 30 minutes away from CBD, reaching the city center is not as easy compared to Narita. According to the Tokyo travel guide, Tokyo is a year-round destination with temperatures ranging between 12 – 31°C. 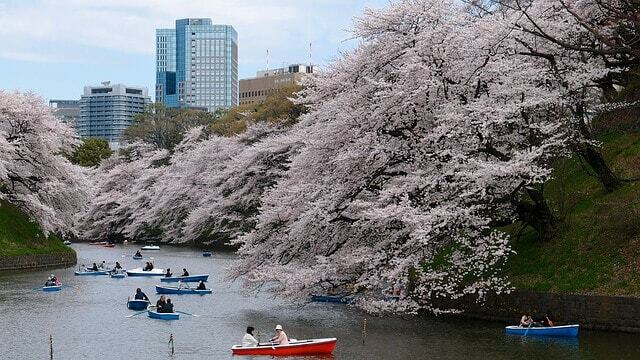 The best times to visit Tokyo are fall (late September to November) and spring (March to May). 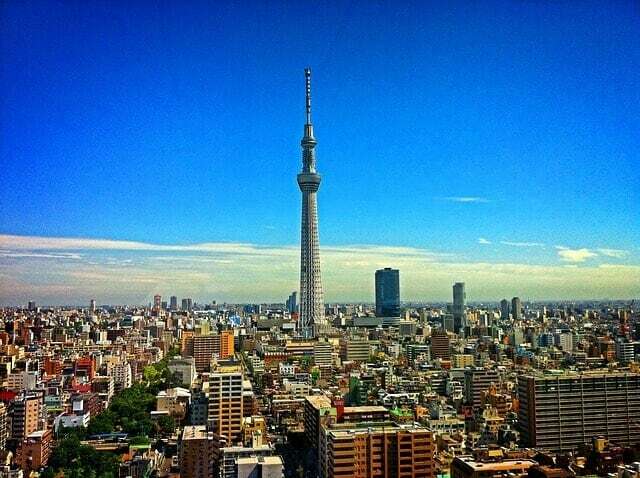 You can visit Tokyo even during the summer months of June, July, and August but it can be hot and humid. This is the typical side of Tokyo that we are used to seeing on TV and the internet. Bright neon-lit boards, skyscrapers, bustling streets, shopping malls, and more. Staying close to JR Yamanote train line is suggested because this line connects to a lot of landmarks in Tokyo. Shinjuku lies in the line of the JR Yamanote train which makes it the most preferable place to stay. 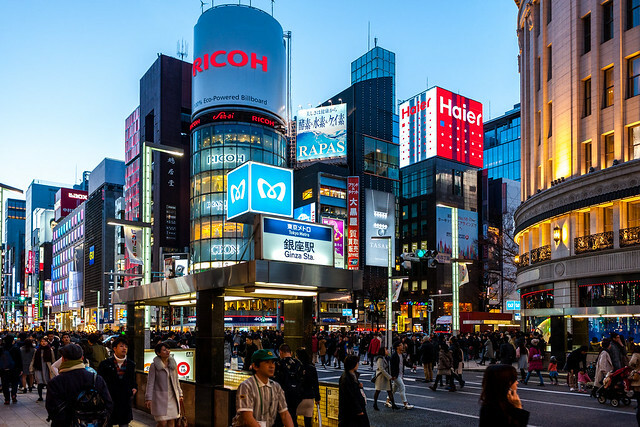 Shibuya is another huge shopping and transport hub on the west side of the Yamanote Line. A hangout place for the youngsters of Tokyo. It is typical to see them in bizarre hair colors and clothes straight out of a sci-fi novel. 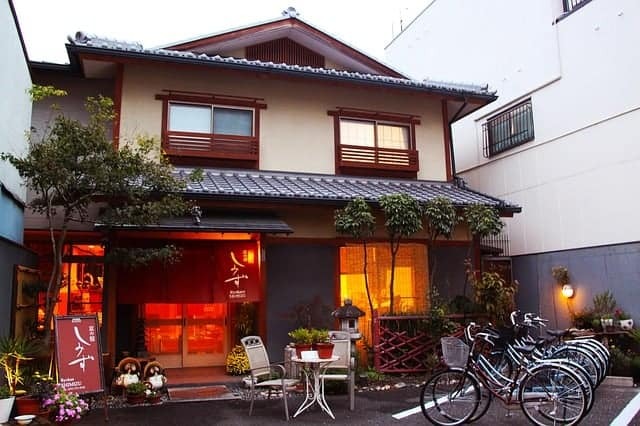 This locality is close to a lot of attractions and one of the best places to stay for first-time travelers to Tokyo. Ginza is the luxury shopping area of Tokyo. Do not feel intimidated as you will mid-range and cheap hotels to stay in this area. It is in the JR Yamanote line so connectivity to other tourist hotspots is not a problem. 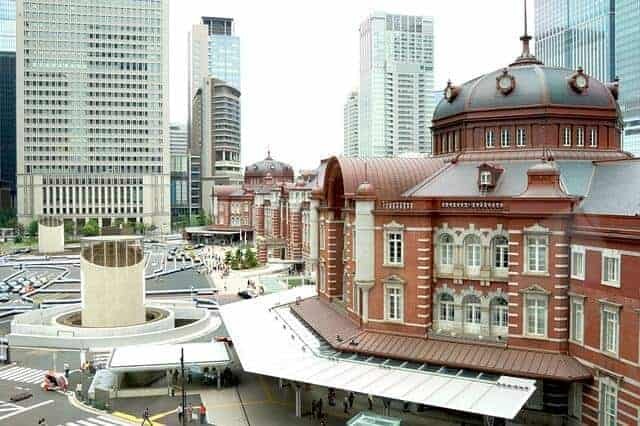 Also, Ginza is just one station away from Tokyo station which is the railway hub for airports and other major stations in Japan. You will be staying very close to the most important transport hubs in Tokyo. You can save a lot of money if you in the Tokyo Station area. The surrounding area is full of restaurants, parks and the great Imperial Palace is all within walking distance. Asakusa seems like a part of the town which is caught in time and hasn’t caught up with 21st century Tokyo. A pleasant part of the town to soak in authentic Japanese culture. This region is not in the JR Yamanote train so traveling to the main tourist attractions is not easy. Since it is far away from the CBD, hotel room prices are not that expensive. But you might end up spending that little amount of money you have saved in traveling. Hotels, as we know are accommodations in buildings with room layout and interiors being the same across the world. It has the same facilities and pattern of service everywhere. Hotel prices in Tokyo are the same as hotels in Europe with an average price range of 100 – 200 USD per night. Ryokans are typical Japanese accommodations unique to this part of the world. If you want an authentic experience then stay over in a ryokan. They are inns which have typical Japanese elements like tatami flooring, Japanese style bathtubs, and offer local cuisine for their guests. It is expensive since it is a niche offering, the average cost of a ryokan stay is between 15,000 and 25,000 yen per person, per night. Since it is too expensive, try staying for a night here just to experience a ryokan. 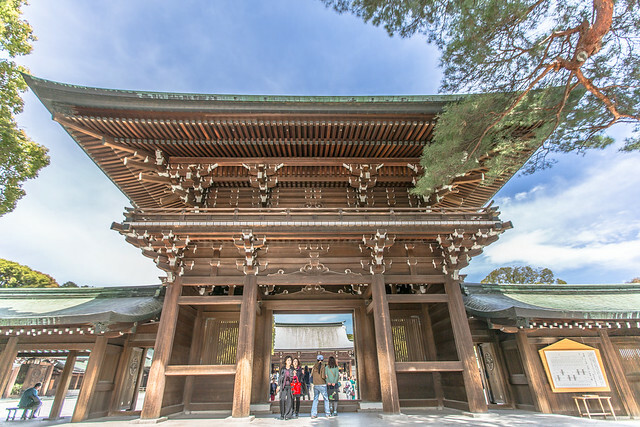 Spend your day in the Meiji Shrine as you walk through a forest walkway in the middle of a cosmopolitan city like Tokyo. The pathway has tall trees on both the sides where you walk under the shade and you pass by 3 gigantic torii gates giving you the feeling of a different era. Located in Shibuya, this Shinto shrine is dedicated to the late 19th-century emperor, Meiji and his wife, Empress Shōken. 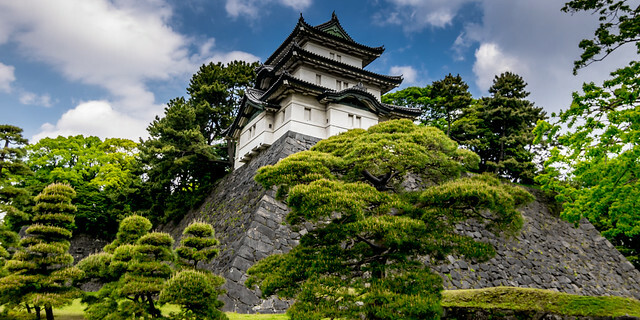 Enjoy a vast expanse of greenery right in the middle of Tokyo at the Imperial Palace. It is the residence of the Emperor Japan even to this day. You will learn a lot about the history of the Imperial Palace while walking around and reading the numerous info boards all over. Located in the Shiba-koen district of Minato, this Eiffel tower inspired building provides great views of Tokyo, especially in the night. A ticket to the Main Deck costs 900 yen (USD 9) and a Top Deck Tour costs 2800 yen (USD 25). Also called as Tochō, this building has an observation deck on the 45th floor which gives panoramic views of the city of Tokyo, all for free! On a clear day, you can see Mt. Fuji at a distance. 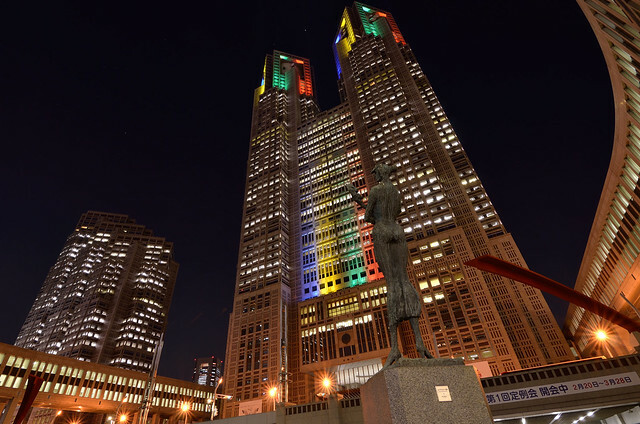 If you are staying in Shinjuku area, then you can walk to this building. For more information about this place, read further here. 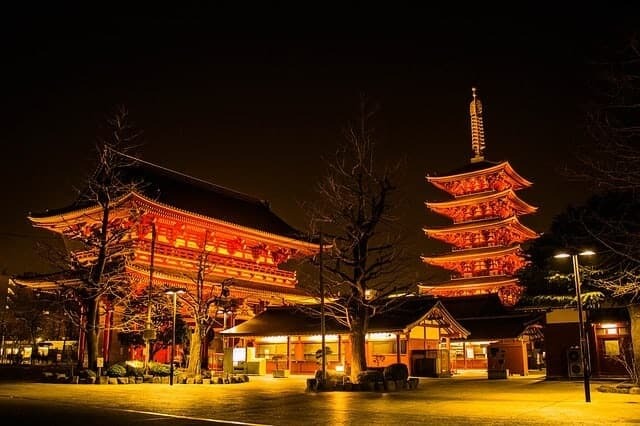 An ancient Buddhist temple in the laid back Asakusa region of Tokyo. It is Tokyo’s oldest temple built in 7th century AD, and one of its most significant. Crowded most of the time especially during weekends. This 176-acre theme park at the Tokyo Disney Resort is located in Urayasu, Chiba Prefecture outside Tokyo. You will have a great time here if you are traveling with or without kids. DisneySea is nothing less than magnificent and stunning. We have all seen that one street crossing in Tokyo on electronic and digital media, where scores of people crossing the street after the pedestrian light go green. 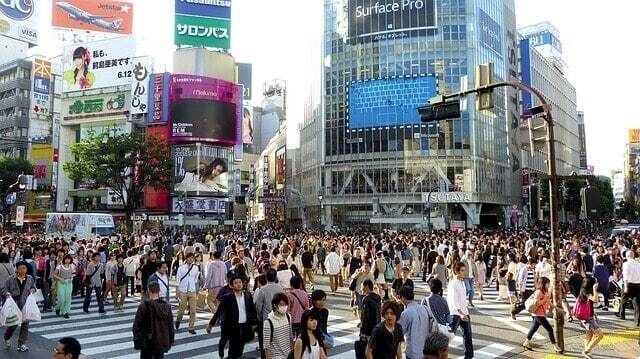 This the famous Shibuya Crossing. To get a top view of this ‘migration’ of humans from one street to another crossing head to the Starbucks Cafe right opposite the Shibuya crossing. Get a table close to the window to witness this. A large public park near Ueno station. It is the best places to see 1000s of cherry trees blossom during late March and early April. You can visit the Kaneji Temple, which is a Tendai Buddhist temple which was founded in 1625. It is a 5 storeyed pagoda and it is a perfect example of temple architecture in this region. What is unique about this temple is that it is built in honor of the insects that died for science. Ueno also has many museums like the Tokyo National Museum, the National Museum for Western Art, the Tokyo Metropolitan Art Museum and the National Science Museum. It is also home to Ueno Zoo, Japan’s first zoological garden. Narrow maze-like streets full of bars, cafes, and restaurants is what makes this neighborhood worth the visit. Considered as the best place to enjoy the nightlife in Tokyo. A large park in the Shinjuku and Shibuya part of Tokyo. The cost of entry is 200 yen (USD 2) per adult which is definitely worth. There is a Japanese garden, French Rose garden, English garden and many more. It’s especially popular during the cherry blossom season between late March and early April. 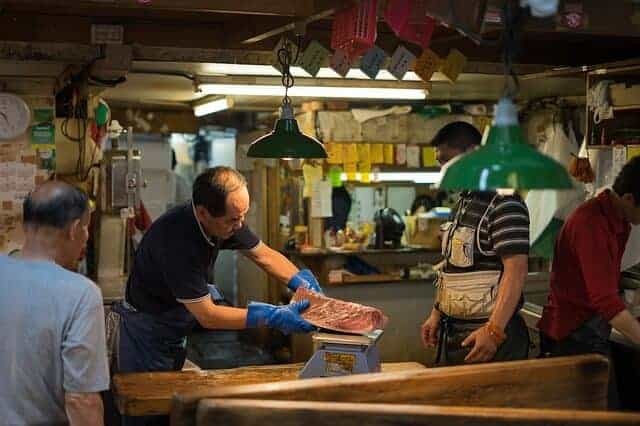 A lot of TV shows have shown Japanese fish markets and this is the place to experience it first hand. There are a lot of sushi establishments where you can gorge on fresh sushi. After the famous Tsukiji fish market was shut down, this is considered as the world’s largest fish and seafood market. For more information, read this interesting article. 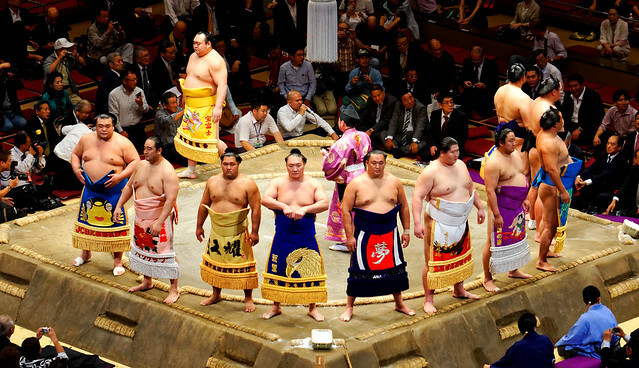 What is a trip to Japan if you do not watch a match of sumo wrestling? Located n the Yokoami neighborhood of Sumida, Ryogoku Kokugikan is an indoor sporting arena. First floor tickets are very expensive but try watching the match from the 2nd floor where the price can be as low as 1500 yen (USD 14). The Ueno Cherry Blossom Festival is an event that takes place every year during spring where the trees glow bright pink, thanks to the cherry blossoms. 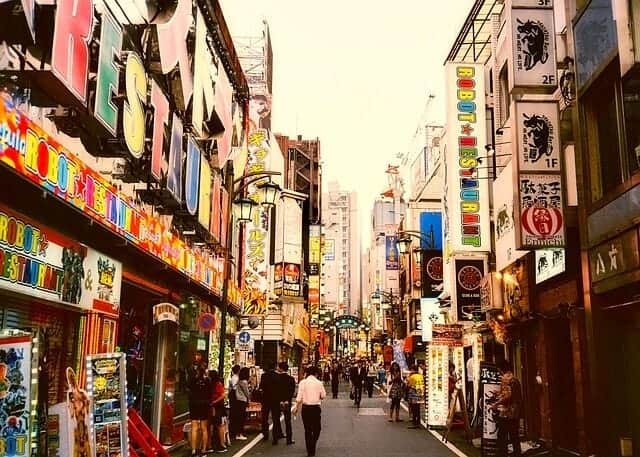 Read more about places to visit in Tokyo in this detailed guide. The biggest summer festival of the year in the trendy neighborhood of Kagurazaka scheduled between 25th – 28th July, 2019. Held in July every year, where Eisa, a traditional dance form of Okinawan is usually performed on the streets. Millions flock the streets to witness this festival. Thousands of paper lanterns float along the tranquil Sumida-gawa River in this festival held every August. Each lantern carries a thought of the person who sets it down the river. There are so many festivals in Tokyo, each with its own significance held throughout the year. Have a look at this list to plan you travels accordingly to witness this local affair. Try paying by cash at small restaurants and shops – Few of these small establishments might overcharge your card and might also try stealing them, so beware of this fraud. While pub hopping is cool, be extremely careful about your drinks being spiked. Unfortunately, even bartenders are part of the scam. Be careful before stepping into a shady bar. If you are a solo male traveler or a group of guys, then this is for you. Well-dressed ladies will approach you for a date. Most probably, they will spike your drink and steal your belongings, so please exercise some common sense before going out with someone. There are troubling instances of fake police trying to corner tourists and scamming them. Though the instances are fewer these days, better read this post to know what to do if such a ‘police’ approaches you next time. It is extremely safe for all kinds of travelers in Japan. It is a land where guests are welcomed and made to feel at home. People are very kind and easy to approach. Female travelers need not fret over using the subway alone. You can easily have a meal all by yourself and you will not be judged. The working class and newer generation speak English so asking for directions or any help shouldn’t be a problem in the streets of Tokyo. A few youngsters might be interested in conversing with you to practice their English. There are a lot of things to do in Tokyo if you have kids. Tokyo is safe, rich in culture and very easy to navigate using public transport. There are many cafes and restaurants to rest but most importantly Tokyo is a kid-friendly city. 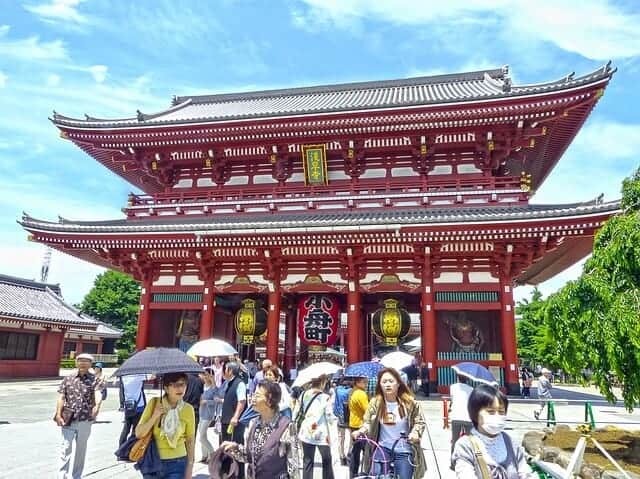 For a detailed blog on the experience of a parent who traveled to Tokyo with kids, read this fun blog where every aspect of traveling with kids in Tokyo is neatly explained. Last but not least, you will need to perfect the act of bowing. Bowing is a very intrinsic part of Japanese culture to welcome guests and they take it very seriously. Before we wind up, read this interesting guide dedicated to international visitors on the art of bowing and be a part of their culture. I hope this Tokyo travel guide helped you with all the necessary information for a fantastic time in this Asian city.